At 3AM, the moon was glowing through clouds giving a eerie feel to the woods. 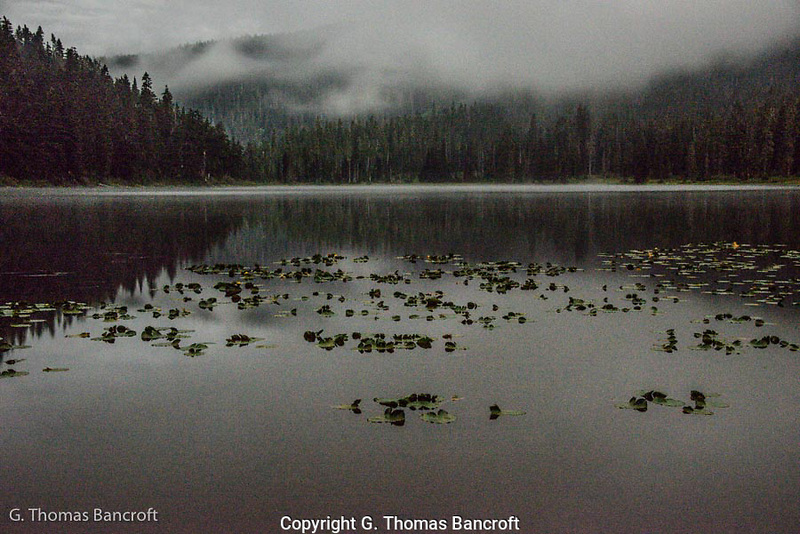 I walked down to Lake Janus to find mist rising from the lake and clouds drifting by the forest. A great-horned owl called softly from the forest on the right. The lake was sublime and I watched for a long time before retuning to my tent.